WEDNESDAY, Oct. 31, 2018 -- Surgeons have long turned to a minimally invasive means of hysterectomy when treating early stage cervical cancer. "Minimally invasive surgery was adopted as an alternative to open radical hysterectomy before high-quality evidence regarding its impact on survival was available," said Dr. Jose Alejandro Rauh-Hain of the University of Texas MD Anderson Cancer Center in Houston, who helped lead the study. Speaking in a university news release, Rauh-Hain said he was "surprised" to find that the technique "negatively affected oncologic outcomes for women with early stage cervical cancer." Dr. Alexander Melamed, a gynecologic oncologist at Massachusetts General Hospital (MGH) in Boston, was co-lead researcher on the study with Ruah-Hain. He noted that a second study -- this time an international clinical trial -- has found similar results. "Personally, I will not offer minimally invasive radical hysterectomy to patients who come to me for cervical cancer treatment, until compelling new research demonstrates a minimally invasive approach that does not carry these risks," he said. As the researchers explained, oncologic surgeons largely abandoned "open" surgeries for radical hysterectomy years ago with the advent of small-incision, laparoscopic techniques. The use of robot-assisted surgery only accelerated the move away from traditional "open" operations. In the four years after their procedures, 94 patients in the minimally invasive group died from any cause, compared with 70 patients in the open surgery group. That works out to a 9 percent risk of death in the minimally invasive group and a 5 percent risk in the open surgery group -- a significant difference, the study authors said. "This result is very surprising, since randomized trials have demonstrated the safety of minimally invasive surgery for uterine, gastric and colorectal cancers," Melamed said. "Our own work using similar methods to investigate minimally invasive surgery for ovarian cancer found no association with increased mortality, so it seems clear that something very different may be going on in cervical cancer," he added. "Until now, data [has] focused primarily on surgical outcomes and the immediate period after, such as the recovery of the patient, length of stay, transfusion needs, and overall return to functional daily activities," Ramirez explained. His team's study was "the first to prospectively compare the two surgical approaches and evaluate oncologic [cancer] outcomes, including disease-free and overall survival and recurrence rates," Ramirez explained in the cancer center news release. And while 96.5 percent of patients who got open surgery were still alive without any signs of cervical cancer more than four years later, the same was true for only 86 percent of women who'd undergone the minimally invasive approach. The research "reinforces the need for more randomized clinical trials in the field of surgery," Ramirez said. 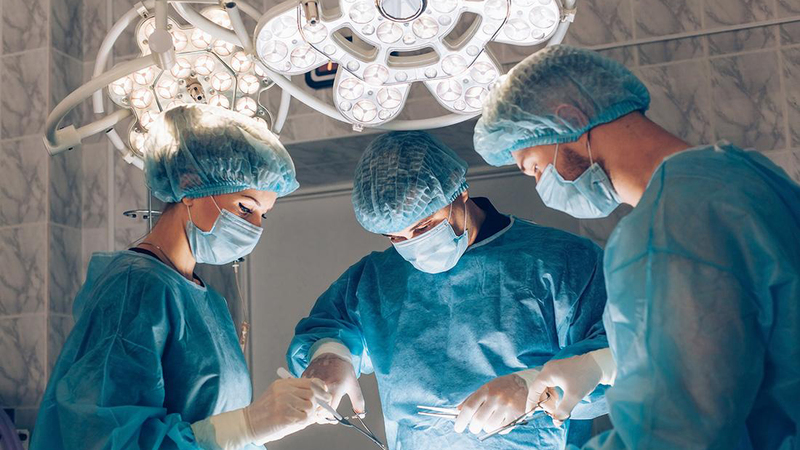 Melamed added that "it's important to note that our study doesn't explain why [the risk of death] is higher among women who have minimally invasive surgery." He speculated that "there could be something technical about minimally invasive radical hysterectomy that is different from the open procedure and makes a difference for long-term survival. An alternative explanation is that U.S. surgeons could have been less experienced with the minimally invasive procedure than with open surgery during the study period." "Surgeons who wish to offer minimally invasive radical hysterectomy to cervical cancer patients must ensure they are informed of these risks," Melamed said. Dr. Ioannis Alagkiozidis directs gynecologic oncology at Staten Island University Hospital in New York City. He wasn't involved in the studies, but agreed they could change clinical practice. Minimally invasive hysterectomy was introduced because it led to "decreased hospital stays and blood loss, decreased pain and faster recovery," Alagkiozidis explained. But now, "given the burden of published evidence, minimally invasive surgery cannot be considered as the standard of care for patients with early cervical cancer," he said. Further research might still support a role for the approach, however. Alagkiozidis noted that most of the minimally invasive operations included in the studies did not include robotic technologies. "Well-designed studies comparing robot-assisted laparoscopic to conventional laparoscopic and open procedures are needed," he said.